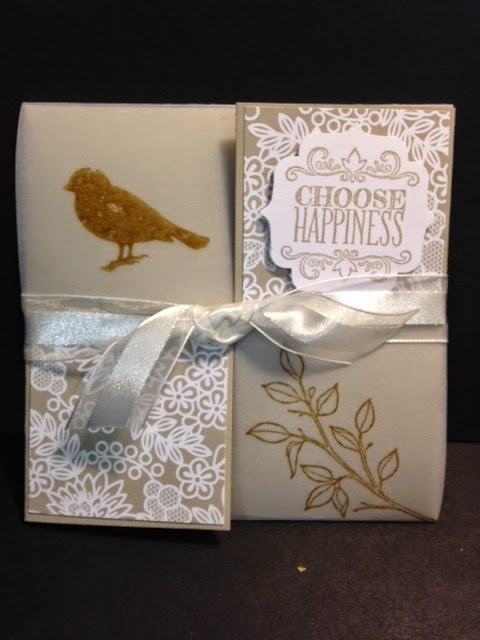 Today I'm going to share a card with you from Terri's Technique Night for her downline. This card was made by Shelly. I don't know what stamp set was used here. I will look it up later and update my post. It's obvious that I do not own this stamp set or I would be able to tell you what the name of it is. 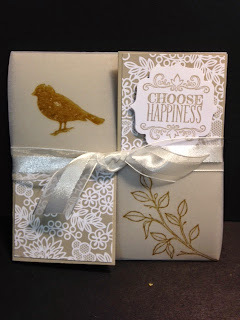 These box cards are very fun and easy to make too. The instructions can be found here. You can stamp on the inside. You can even make a pocket to add a gift card or money. These have lots of possibilities.